Azio G8 gaming gear mouse is one of the finest gadget that you can find with awesome hybrid technology. G8 is designed to provide high grade ultra performance. 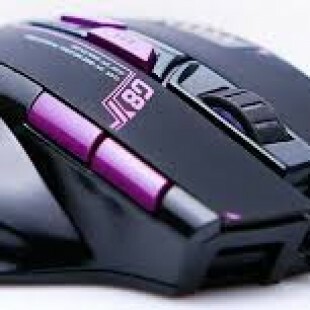 G8 gaming mouse accommodates all the basic and nearly advance needs and necessary through its programmable gaming features and from its high grade functional. It compromises with ..
Razer is speciliazed manufacturer of gaming products, they generally marketed to deals with gamers. 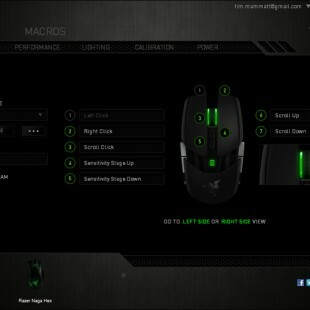 Razer Ouroboros is latest gaming mouse specially designed for the gamers. Razer Ouroboros is fully customizable to your personal needs with 8200dpi 4G laser sensor . it is Gaming grade wireless mouse with dock with 11 programmable Hyperesponse buttons which provides ..